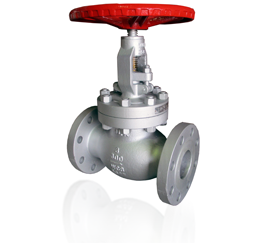 Valve used for regulating the flow in piping that contains a mobile disk type element and a stationary ring in a generally spherical body. 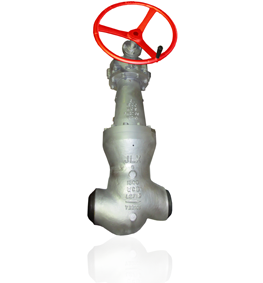 Globe valves are so called due to their spherical body and their two halves separated by one or several internal screens. 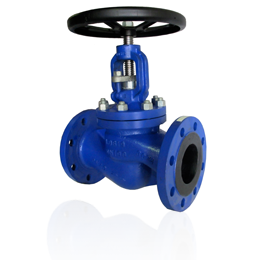 The latter has an opening that forms a seat where a mobile plug can be screwed to close the valve. 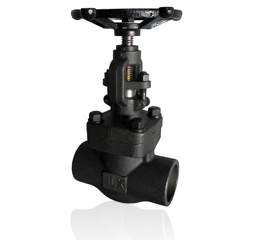 The plug, also called “disk” in the globe valve, is connected to a stem that is operated by screw action in manual valves. 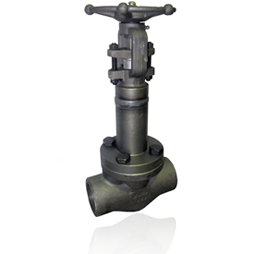 In general, automated valves use smooth sliding stems instead of screwed stems, and are open and closed by an actuator. 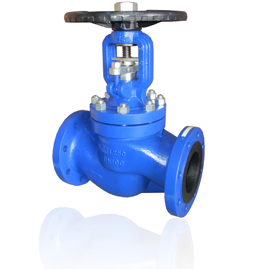 When a globe valve is hand operated, the stem is turned by a handwheel.